Market State 2: Bullish (17 days): Market State 2 represents a long term bullish environment with low market volatility. The current market has been in a 5% to 8% trading range for most of 2016. The exception was the first six weeks of the year when the S&P 500 dropped -10.5%, to register one of the worst starts of a new year in history. In fact, the S&P 500 descend from the top occurred on 7/20/15 at 2128 and finally ended on 2/11/16 at 1829. That represents a peak to trough decline of 14%, while most of the other major equity market indexes declined more than -20% during the same time. 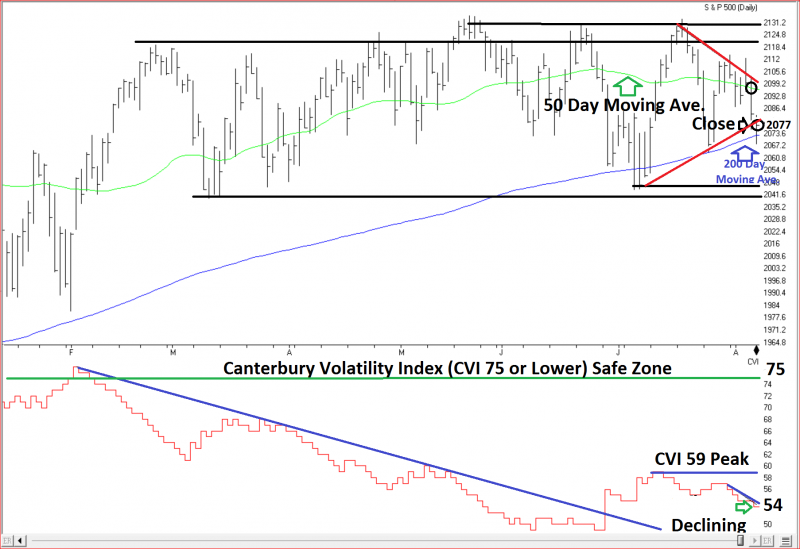 Canterbury Volatility Index (CVI 56) Low and declining volatility indicates an efficient/rational market environment. The optimal volatility range, as measured by the CVI is between 55-75. High volatility occurs when correlations among securities increase, causing a reduced benefit of diversification. High and increasing volatility is a characteristic of a Transitional or Bearish market environment. On the other hand, market volatility can also get too low and may be reflective of too much complacency among investors. Volatility has continued to decline following the sharp 2.5% drop (single day outlier) on September 9th. The market’s volatility is close to tightening below the low end of the optimum range (CVI 55). As discussed in previous Weekly Updates, extreme low volatility can sometimes be similar to squeezing down a spring. The result can be a sharp spike in volatility as the built up pressure is released. The probabilities of a one or two day outlier, meaning days up or down in the 2% range are likely if volatility continues to get squeezed down. Last week most major equity markets pulled back slightly. The Dow, S&P 500 and NASDAQ were all down -0.6%, -1.0% and -1.5% respectively. Bonds* were down -0.2%. Source: Bloomberg. 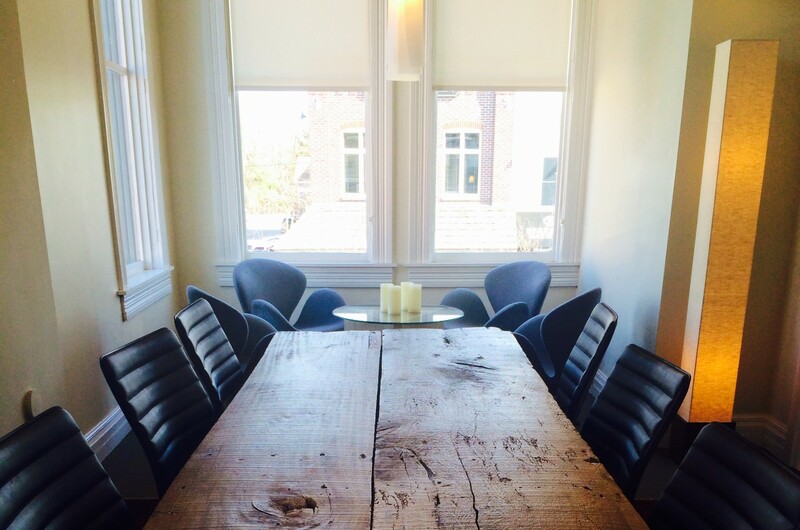 *Bonds represented by the iShares Core U.S. Aggregate Bond ETF. 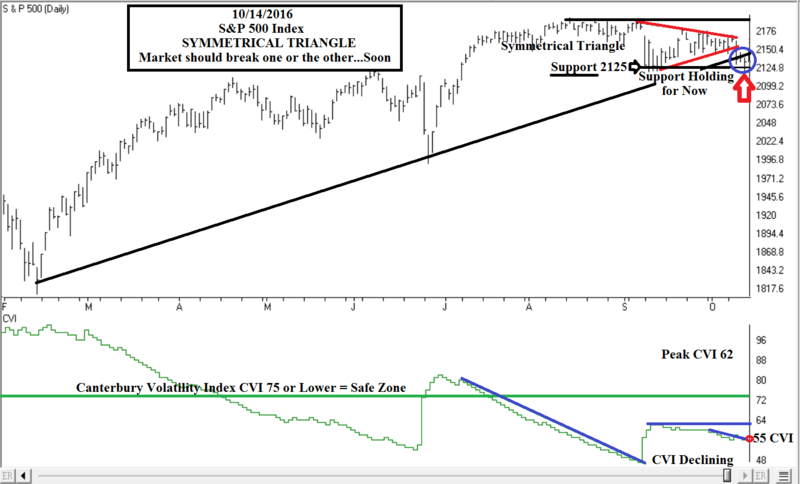 The Canterbury Weekly Update published on August 10, 2015 described the before and after characteristics of “symmetrical triangle” chart pattern. 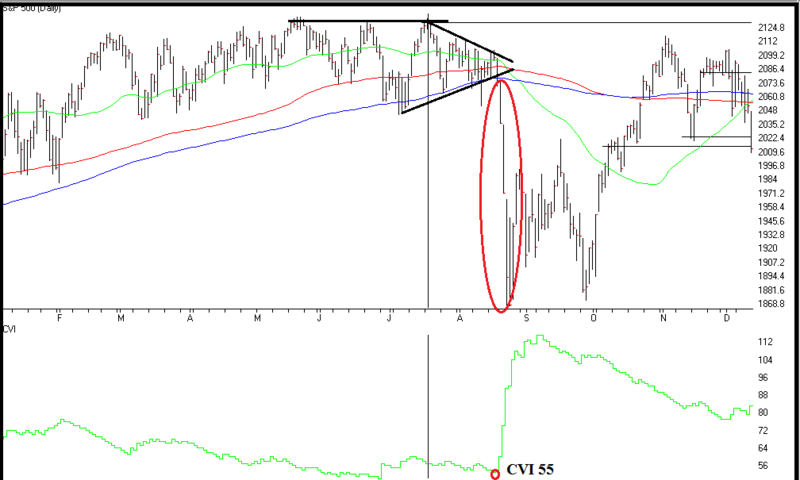 Chart 1: Symmetrical Triangle combined with extreme low volatility (CVI 55 or lower). The triangle eventually ended with a substantial break to the downside (red circle). Chart 3: Symmetrical Triangles can be resolved with a breakout to the upside (green circle). Chart 4: Do you see any similarities between Chart 1 and Chart 4? It is important to note that Canterbury Investment Management does not incorporate “chart patterns” into its algorithms when determining the current Market State. The above commentary is an example of classical technical analysis and is worthy of monitoring. Investors are subject to an emotional flaw called “recent bias.” We humans are experts at finding patterns from past and using them to make observations about the future. As a result, many believe that just because events occurred in a certain sequence in the past, it is likely to continue into the future. 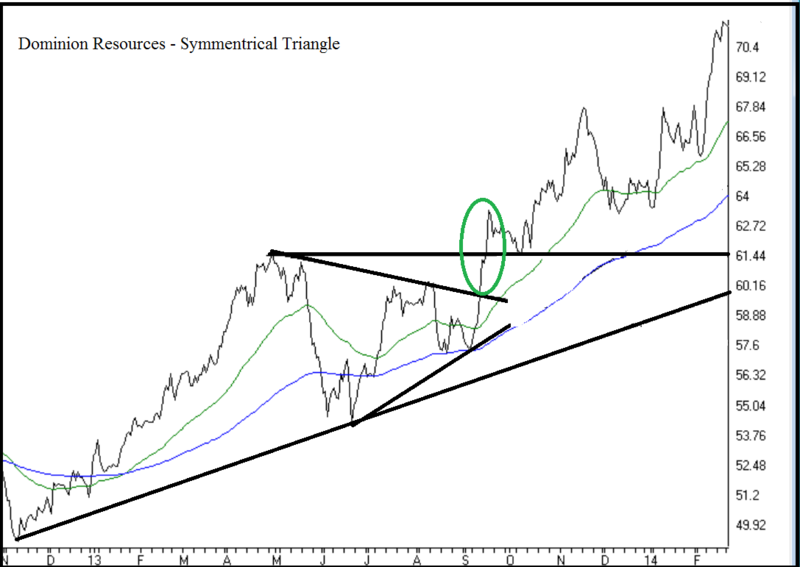 Today’s symmetrical triangle looks very similar to the one in August 2015. That said, several important technical indicators look better this time around. The recent, last two plus years, experience has led investors to believe that the markets have limited upside potential and are subject to short periods with substantial risk. Investors naturally feel confident at the top and pessimistic at the bottom. Therefore, markets are counter intuitive because they are driven by supply and demand which is in turn, driven by what investors believe about the future. Expect the usual one or two days of 2%, or so, outliers as a result of low volatility. Then don’t be surprised if the markets break to the upside. Why? Because most people think otherwise. 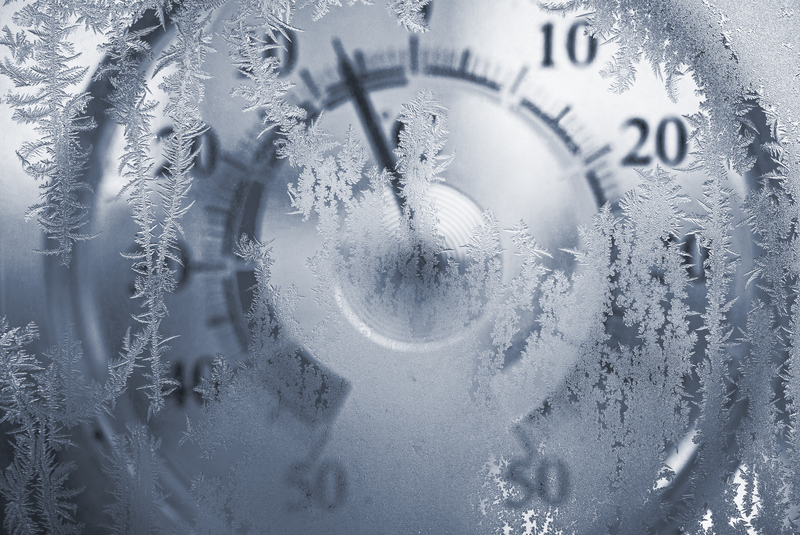 Regardless of what the future may bring, the Canterbury Portfolio Thermostat model will make the adjustments to reflect a new market environment.